Episode 27 is now live! For this episode, Bart and Jeff sat down with Ike Reilly for a quick conversation before his solo show at Off Broadway. 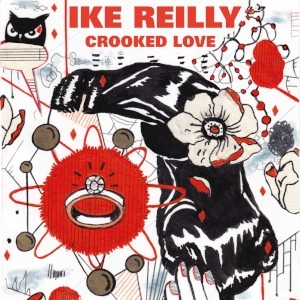 Ike has a new record out on Rock Ridge Music called, Crooked Love. We talk about the new record, plans for a fall full band tour, and briefly touch on our current Dumpster Fire in Chief, among other things. Thanks again to Ike for joining us and Off Broadway for letting us use the green room once again for recording. Episode 26.5 is now live! This episode contains the performances from our previous episode with Will Johnson. 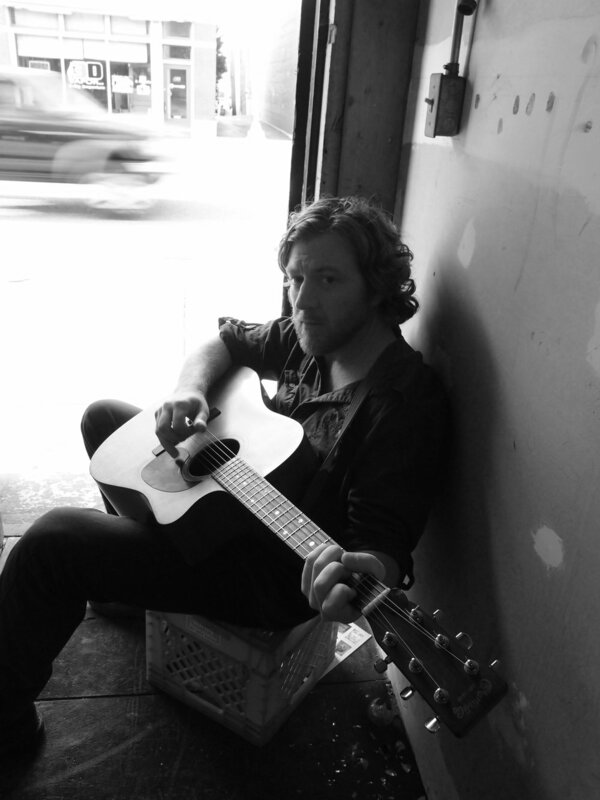 Will plays his songs, "Childress (To Ogden)," "Predator" and "Nameless, But A Lover". Will Johnson is currently on tour with his new group, Marie/Lepanto. They are touring during February 2018. Click here for tour dates. Episode 25.5 is now live! This episode contains the performances from our previous episode with Dana Michael Anderson. Dana plays his songs, "Wait And See," "Dreaming It Away," and covers the Guy Clark classic, "Desperados Waiting For A Train." We also include some extra interview material not included in the original episode. Episode 24 is jam packed with performances that we captured last December down at the 2015 White Water Tavern Holiday Hangout. Over the course of an afternoon, we were able to record songs by Micah Schnabel, Shane Sweeney, Todd Farrell, Jason Kutchma, Todd May, Isaac Hoskins, and Petra Kelly. We are also including the recordings with Austin Lucas that we had done the night before and that were on our last episode that featured Austin. Thanks again to everyone that gave us their time so we could make all this happen. We had such a great time at the Hangout and look forward to doing it all over again in 2016. Please check out all the links below for the artists and support them as much a you can, they are all truly amazing artists and people. Hey folks! We are back with Episode 22. For this episode, Jeff and Bart met up with Tyson Blanquart at the always welcoming Tick Tock Tavern. Tyson is coordinating a sketch comedy show/competition called, Something Sketchy This Way Comes. We talked to Tyson about how the idea for the show took shape, his past experiences in the STL sketch comedy and theater scenes, and sketch comedy in general. The evening promises a great night of entertainment as six comedy teams compete for all the glory. Stand up comedians will also perform during changeovers and the Dave Stone Trio will be featured as the house band. Hope to see you there! Episode 21.5 features the performances from our podcast with Dan Johanning and Bobby Stevens of St. Louis band, The Wilderness. Dan and Bobby perform their tunes, "Adopt A Highway," "Airstream Dreams," "Chillout Night," and "Living Well," and covers The Boss' tune, "No Surrender." The Wilderness will be kicking their tour off on Thursday, June 11th at The Schlafly Tap Room. 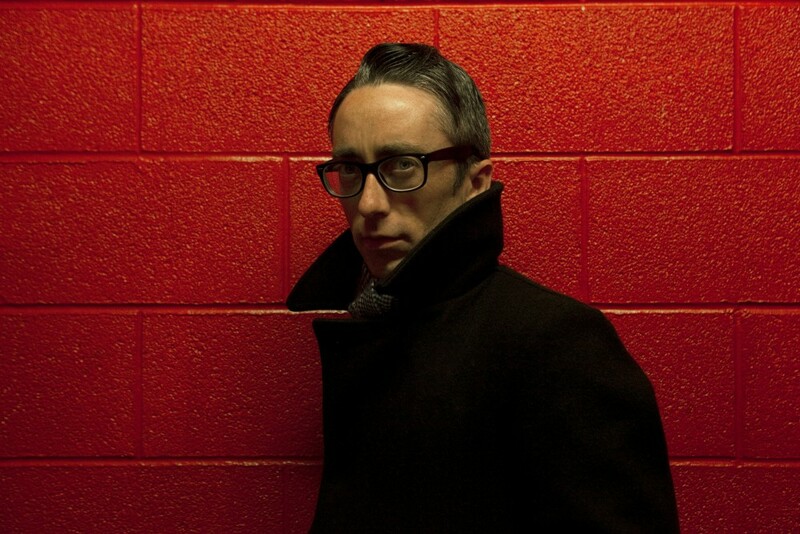 Brother Lee and the Leather Jackals and Andy Cook are also on the bill, with music starting at 9PM. Be sure to head on out that night and give the dudes a good send off for the tour. For Episode 21, Scott, Jeff, and Bart sat down with Dan Johanning and Bobby Stevens of St. Louis band, The Wilderness. Dan and Bobby tell us how the band came together, share some stories about playing out, talk about their upcoming EP and tour, and we talk a little about The Boss. Performances include four originals from Dan and Bobby, and a special cover that you will definitely want to check out at the end of the episode. Episode 20.5 of the podcast features the musical performances from Episode 20 with Bob Monroe from the St. Louis punk band, Breakmouth Annie! Bob performs the Breakmouth Annie tunes, "Enervated" and "Lafcadio," and covers the Jets To Brazil tune, "Sweet Avenue." Be sure to pick up the full band versions of these Breakmouth Annie tunes on their split with The Winchester. You can order the vinyl from the band's bandcamp page, or just get on out to one of their shows and buy it directly from the band! Episode 20 of the podcast features Bob Monroe from the St. Louis punk band, Breakmouth Annie! We sat down with Bob for a fun conversation about their split record with The Winchester, growing up in Alton, IL, how he got into playing, influences, taking guitar lessons from a guy who ate a lot of "Doritos," and many other topics. Bob also performs the Breakmouth Annie tunes, "Enervated" and "Lafcadio," and covers the Jets To Brazil tune, "Sweet Avenue." Breakmouth Annie will be opening for Two Cow Garage at The Demo on Tuesday, March 24th. BaldEagleMountain is also on the bill as support. Doors are at 7:30, show starts at 8, and 10 dollars American will get you in for a fantastic night of tunes. We hope to see you all there! In Part 2 of our podcast from our time down at the 2014 White Water Tavern Holiday Hangout, Bart and Jeff continue their conversations with the members of Two Cow Garage, Todd Farrell Jr., and Joey Kneiser and Kelly Smith of Glossary. We get a little nerdy with some Star Wars talk with the Two Cow dudes, discuss a new travel app with the Glossary camp, and everyone loves on Centro-matic. The Hangout is annual event hosted at the White Water Tavern and organized by Last Chance Records and Tree Of Knowledge. The three day event is traditionally held the first weekend in December and features three nights of music, an in-store performance at Arkansas Record-CD Exchange, and the Breakfast, Books, and Booze event. Episode 19 of the podcast features interviews and performances from some of the artists that were involved with the 2014 White Water Tavern Holiday Hangout! Bart and Jeff made the journey to Little Rock to attend the Hangout and were able to sit down with the members of Two Cow Garage, Todd Farrell Jr., and Joey Kneiser and Kelly Smith of Glossary. Episode 18.5 is our "performance only" version of our podcast with Three Merry Widows. They perform acoustic versions of their songs, "Billy She Said", "In A Box" and "All That There Is." "In A Box" is a track they originally released their 1991 TVT release Which Dreamed It?. "Billy She Said" and "All That There Is" are songs that have never seen an official release. The group will play a reunion show with guests Cold Hearted Strangers on Saturday, February 7, 2015 at The Ready Room in The Grove located at 4195 Manchester in St. Louis. Original members Alice Spencer, Sean Garcia, Brian Simpson and Charles Shipman will be join by veteran St. Louis musician Danny Hommes on drums. Tickets are $20 and can be purchased here. Happy Holidays from all of us here at 3 Minute Record! 2014 has been a really great year for us with the podcast, and we still have at least one more to get up before the year is over. There are also two more on top of that one that we are working on and will have up soon in the new year. Some years ago, Bart recorded some Christmas tunes with Dana Michael Anderson and John Masinelli (then of The Flatwheel Band) and Shawn Raila and Andy Dorris (of the One Drops). The idea behind the recording was that everyone was feeling a little broke and this would be a way to be able to give gifts to family and friends. They got together at Bart's house, learned these songs, and knocked out these recordings in one day. And so, the Flatwheel & The Gum Drops Christmas EP, All You're Getting For Christmas was born! The boys tracked four traditional Christmas tunes, "Silent Night," "Jingle Bells," "O Holy Night," and "Rudolph The Red-Nosed Reindeer," and a cover of the Robert Earl Keen favorite, "Merry Christmas From The Family." CD's were burned, "artwork" was made, the final product was handed out to family and friends, and hopefully much rejoicing was had by all! It has been a while since then, and we thought we would post all the tunes here for easy download for all the friends that might have never received a physical copy or we didn't know then. We hope you enjoy and have a wonderful holiday season. Be sure to give all of your loved ones a big ol' hug this holiday just because hugs are pretty awesome. Seasons greetings and thanks for being a part of what we do!